Time to test the limits of your luck and spin reels for huge jackpots. Let’s guide you to some of the best online jackpot slots out there! You never know, you could be the next Joy Heywood and win millions of dollars after just 30 minutes spinning the wheel. There are people who have completely changed their lives from jackpot slots. One day you are avoiding your friends because you can’t afford to buy drinks and the next day you are on everyone’s speed dial after winning millions. In the world of online slots, there are only two ways of increasing your wins; playing in a slot with an incredibly high RTP or participating in a progressive jackpot. Yes, luck must be totally on your side. But one thing so good about such jackpots is that when fortune strikes, the win is usually significant. If you want to win life-changing prizes, jackpot slots are a brilliant choice for you. You will find many slots with such jackpots on the internet. Therefore, it can be difficult to decide on which slot to play. It is rare to talk about jackpot slots without mentioning Mega Moolah. This game by Microgaming always stands out for its progressive jackpot. If you are wondering just how high these jackpots can go, look no further than Mega Moolah. The above slot once broke the news with its huge payouts. It holds the world record for the highest payout. This was the jackpot that changed Mr Heywood’s life, as he bought a Bentley. He also paid for this father’s heart treatment. The jackpot is included in the spin-off games, Mega Moolah Isis, Mega Moolah Summertime and Mega Moolah 5 Reel Drive. Playtech takes pride in their Jackpot Giant slot for its gameplay and huge prizes. Play this 5-reel and 50 payline online slots to trigger the bonus feature that comes with a lucrative jackpot. Get 5 wilds across pay line 1 and change your life for good with millions of cash. You need to play with the maximum £4 to win the coveted jackpot. If you have intentions or desires of winning big, this game is perfect for you. Playtech are ready to award you with 50,000 times you original stake! Cruise through a mythological word to unlock your millions. NetEnt’s Hall of Gods is one of the most popular slots in the world of online casinos. There is not one or two…but three impressive jackpots to win at its bonus game. Thor’s Hammer is the bonus symbol with the power to make you smile all the way to the bank. Land three of these hammers to activate the bonus game. The three jackpots are; Mega, Midi and Mini. The amount you can win is clearly displayed on the screen to keep you focused. This means you have more chances of winning big. Your total win is correlated to the size of your bet. For only £50 per spin, you have a chance at the millions offered at Hall of Gods. Supporting features include the Free Spins. Land the Raven symbol (the scatter symbol) to trigger Free Spins which then makes you eligible for the three jackpots. Playtech’s Age of the Gods is one of the highest paying slots among online casinos. The progressive jackpot increases quite fast. It is possible to go away for a few hours only to come back and find the jackpot has risen by hundreds of thousands. You get spoilt for choice at this slot. The game comes with four impressive levels of Progressive Jackpots. They are; Power, Super Power, Extra Power and Ultimate Power. Play for the jackpots by matching three symbols in the Bonus game. Highest jackpot – $1.3 million. So, can a spin on the reels turn your world upside down? In conclusion, it is possible to turn a millionaire overnight with these slots. However, the slots also come with some challenging terms of participation. For instance, many jackpots are only triggered after you make a maximum payout. But then again, these are millions of jackpots we are referring to. If it were that easy, we would all be millionaires. 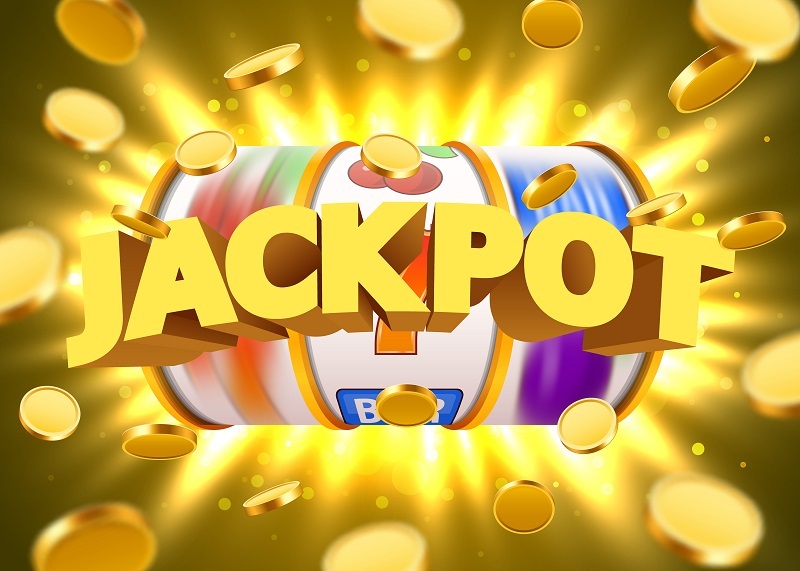 If you want to play for a really huge amount of money, start with progressive jackpots from Microgaming, Playtech and NetEnt. Most of these slots have pooled jackpots. This means that the jackpot is built at the many online casinos that offer jackpot slots. Why don’t you try you luck today on one of these slots?